A growing number of Democrats running for Congress in 2018 are foregoing contributions from political action committees, opting for a more grassroots approach to fundraising in a bid to appeal to the party’s progressive base. Candidates, progressive activists and Democratic consultants are betting the strategy will appeal to voters who are frustrated with the influence of money in politics. President Donald Trump tapped into that anger in 2016, as did Sen. Bernie Sanders, I-Vt., who made campaign finance reform a central part of his message. The approach worked for Sanders, who surprised the political world by raising more than $200 million in 2016, largely from small donors. But adopting the same approach this year is a gamble for Democrats, and it’s unclear whether it will pay off. Foregoing PAC money this year is a gamble for Democrats, and it’s unclear whether it will pay off. Democrats have long blamed Citizens United for the rising influence of Super PACs and donations from corporations and special interest groups, known as “dark money,” that are not required to be disclosed under the law. Super PACs can spend unlimited amounts of money on politics but cannot coordinate directly with candidates or campaigns. Political action committees, in contrast, can contribute to candidates and campaigns and spend millions of dollars every election. Despite the risks of foregoing PAC money, which can help fuel a campaign, Democrats like Rep. Beto O’Rourke, D-Texas, have enthusiastically embraced the move. When O’Rourke launched his longshot bid last year to unseat Sen. Ted Cruz, R-Texas, he promised to do so without accepting PAC money. This week, O’Rourke announced a $6.7 million dollar fundraising haul in the first quarter of 2018. O’Rourke said he received donations from 141,000 individuals, 70 percent of them from Texas residents. In a phone interview, O’Rourke, who joined Congress in 2013, said he hasn’t accepted PAC money in three years. “I just came to the conclusion that asking for money from these special interests that have been before committees in Congress is not the way democracy should work,” O’Rourke said. Foregoing PAC money was an overt move to appeal to voters in her solidly Republican district who want to see a change in Washington, King said in a phone interview. “We see it strategically. We’re funded directly by working families, it’s how we flip districts in Trump country,” she said. King is one of 51 candidates endorsed by Justice Democrats, an organization founded last year that is supporting candidates in 2018 races who don’t take “corporate PAC or corporate lobbyist money,” according to the group’s website. The organization is part of a broader movement on the left and among watchdog groups to enact campaign finance reform to counteract Citizens United, the controversial 2010 Supreme Court ruling that lifted restrictions on campaign spending by corporations and unions. A subsequent Supreme Court decision in 2014, McCutcheon v. FEC, struck down limits on the amount individual donors could contribute to candidates, political parties and PACs. President Barack Obama spoke out against Citizens United In his 2010 State of the Union address, and Democrats have kept up their criticism of the ruling ever since. Still, the party’s relationship to wealthy donors, PACs and other powerful political interests in the post-Citizens United landscape has become more complicated. The debate came to a head during the 2016 presidential election. 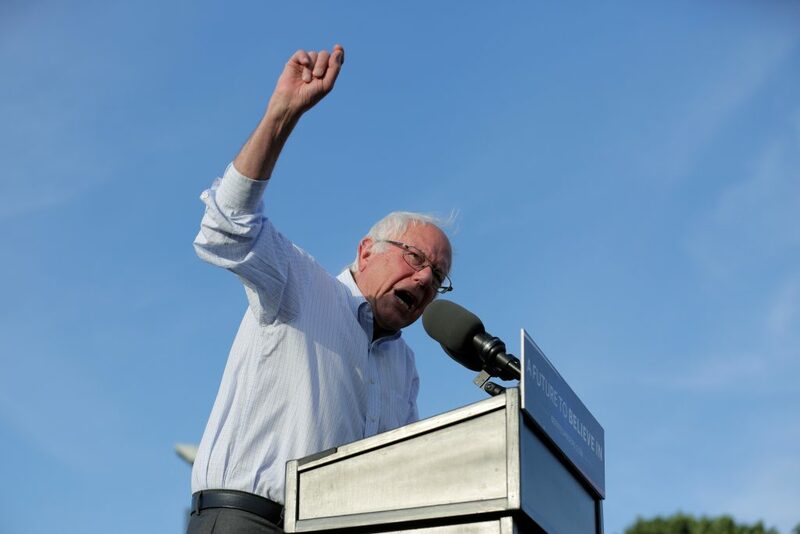 When Clinton courted wealthy liberal donors and big business, Sanders relied on small donors, claiming often on the campaign trail that the average contribution to his campaign was just $27. A study by the Washington Post found that 16 percent of Clinton’s donations were under $200, compared to 26 percent of Trump’s and 32 percent of Barack Obama’s during his 2012 re-election campaign. In contrast, Sanders’ support from small-dollar donations “helped to instill in the progressive base more of an expectation that candidates could do this,” Weiner said. Of course, Sanders wasn’t the first candidate in history — or the only in 2016 — to eschew corporate cash for small dollar donations. Rep. Ro Khanna, D-Calif., unseated incumbent Democratic Mike Honda in 2016 without taking PAC money. 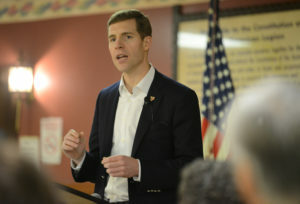 In the special election for Pennsylvania’s open congressional seat last month, the Democratic candidate, Conor Lamb, raised more than $3 million without accepting money from corporate PACs en route to his razor-thin win over Republican Rick Saccone. Some Senate Democrats are also getting on board. 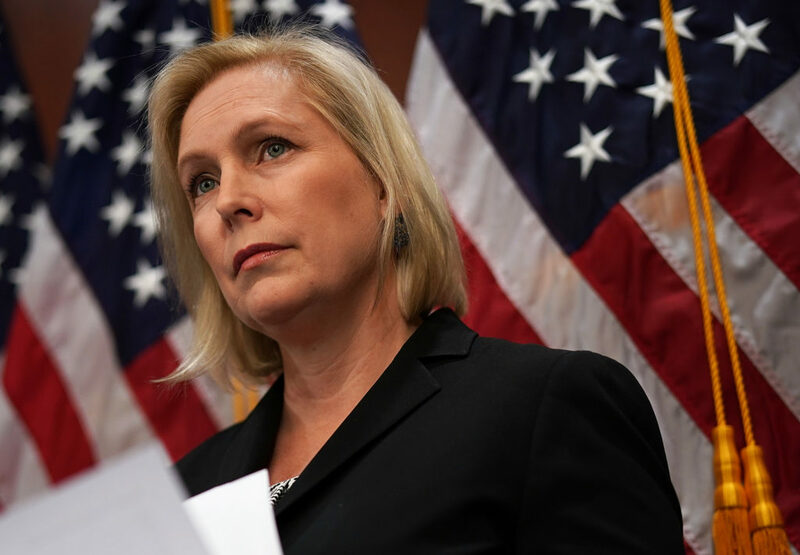 In February, Sen. Kirsten Gillibrand, D-N.Y., announced that she would no longer accept corporate PAC money, and Sen. Cory Booker, D-N.J., quickly followed suit. The pair joined Sens. Sanders, Elizabeth Warren, D-Mass., and Maria Cantwell, D-Wash., as the only sitting senators who do not accept corporate donations. Sanders, Warren and Cantwell have long held more progressive stances on campaign finance issues, so the announcement from Gillibrand and Booker — rising stars in the party and, along with Warren, are rumored 2020 White House candidates — signaled a possible a shift in the party. During his last campaign, in 2014, Booker received more money from Wall Street than any member of Congress in that year’s midterms. The trend does not appear to be crossing party lines. Rep. Francis Rooney, R-Fla., is the only GOP member of Congress who has pledged not to take corporate PAC money, according to a CNBC report. Matt Gorman, a spokesman for the National Republican Congressional Committee, dismissed the trend of more Democrats rejecting PAC money, claiming that rank-and-file Democrats and party leaders in Washington were maintaining the status quo. Liberals acknowledge that the decision by some candidates to forego PAC money isn’t enough on its own to change the role of money in politics. Gorman argued that House Democrats still rely on their campaign arm, the Democratic Congressional Campaign Committee, and a Super PAC linked to House Minority Leader Nancy Pelosi. That group, called the House Majority PAC, cannot contribute directly to Democratic candidates but since 2010 has spent tens of millions against Republicans in an effort to help elect Democrats to the House. “I would ask if they’re still accepting support from the DCCC or Nancy Pelosi’s super PAC,” Gorman said. And even liberals acknowledged that the decision by some candidates to forego PAC money isn’t enough on its own to change the role of money in politics. Congress must pass campaign finance laws to make elections more fair and more responsive to the American voter, not corporations, said Liz Kennedy, the director of Democracy and Government Reform at the left-leaning Center for American Progress. But Congress isn’t slated to take up campaign finance reform before the 2018 elections — or anytime soon afterwards, so long as Republicans control the House and Senate. In the meantime, Democrats who vowed not to take PAC money this cycle said they were sticking to the plan — and hoping it won’t backfire this fall. Would focusing on Russia probe help or hurt Democrats in the midterms?